This building has had various lives, with at least four different institutions occupying the site. It was once the Cannon Hill Museum and devoted to the history of Birmingham. Around 1953, changes at the Birmingham Museum and Art Gallery led to the natural history department establishing a museum on the site. 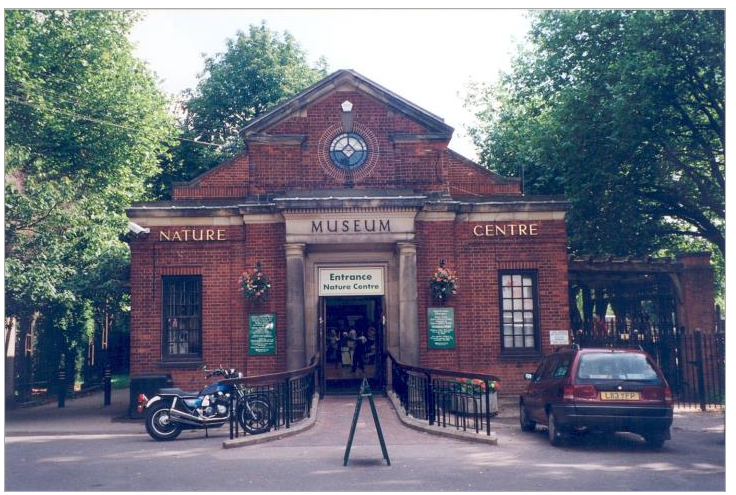 It subsequently became the Birmingham Nature Centre and is now the entrance to Birmingham Wildlife Conservation Park. It is situated on the edge of Cannon Hill Park, which opened in 1873. The park was designed by T. J. Gibson, who had previously designed London’s Battersea Park. ← The Button Museum? It’s fastenating.